Top 20 Umhlanga Activities 2017. Umhlanga, which means “place of reeds” in Zulu, is known for its coastal-lying beauty, classy shopping malls and, perhaps above all else, as Durban’s popular resort town, so it’s only natural to find some epic adventures lying in store here. This rather iconic, 21-metre high lighthouse is white with a topside red stripe and offers a light range of 24 sea miles. It not only doubles as a tourist attraction and popular local landmark, but it also, naturally, safely guides ships to shore. 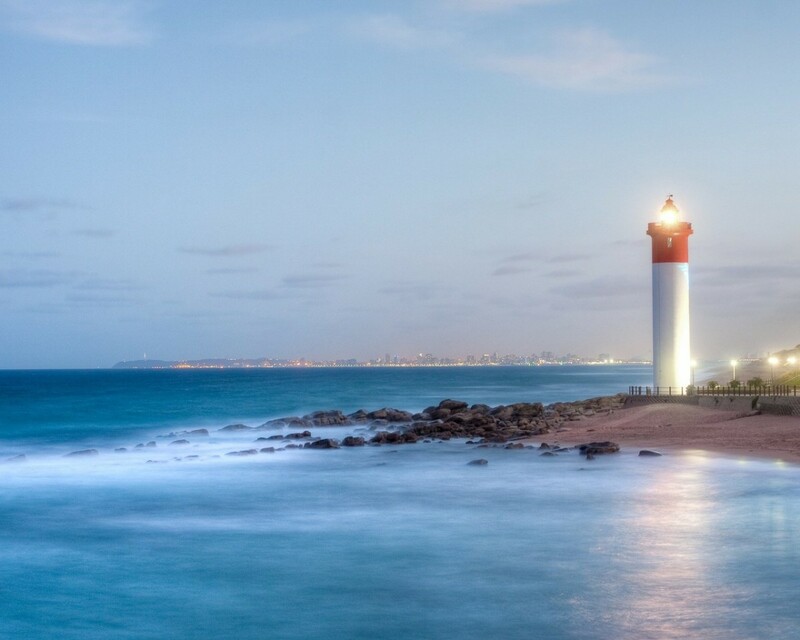 And although this isn’t a lighthouse you can explore from within, it’s definitely one you need to snap a picture of or pass by when visiting Umhlanga. This popular beach offers a few fun things to enjoy. Not only can you tan and surf, but you can also swim in the granny’s pool, with the knowledge that there are life guards on duty. Visitors can also rent beach chairs and umbrellas and enjoy taking in the sights from nearby benches. Parking is minimal so, if you can, it’s best to get there early to secure a spot. The beach is clean (and thus most perfect for beach walks!) and there are toilet facilities found , as well as a nicely maintained walkway. Ice-cream shops nearby will delight children and adults alike. Gateway Theatre of Shopping is the ultimate retail and entertainment experience, offering everything from fashion to dining and movies. It’s considered to be one of SA’s most elite retail shopping stores, with over +390 stores and 70 eateries, and frequently brings world-class events, competitions and entertainment to town. What’s more, it offers something for everyone to enjoy. While not strictly within Umhlanga, it’s close enough to warrant a mention… and it certainly deserves one! Offering a tropical element, La Lucia is close to paradise, with its coral reef and colourful fish. It’s ideal for snorkelling, diving, surfing and swimming. It offers wonderful tranquility, despite being relatively close to the city centre… so if you’re in Umhlanga, you will definitely want to take a drive to enjoy some time at La Lucia Beach. Located on the periphery of this resort town, Umhlanga Lagoon Nature Reserve is nevertheless a popular nature lovers’ haunt. The trail winds by past a picnic area, crossing over a wooden boardwalk into a coastal forest, inhabited by all manner of local wildlife, including veret moneys, buck, birds and even butterflies. Some of the trees have labels so you can learn while you ramble. It’ll blow your socks off as you experience your favourite film in ultra high definition 3D on a very big screen indeed! Enjoy an educational and insightful visit to the KwaZulu-Natal Sharks Board Maritime Centre of Excellence (also known as KZNSB), a global leader in shark protection, as well as in key environmental and tourism efforts. Not only does the KZNSB maintain the 37 beaches found along the KZN coastline, but it also conducts shark biological research and offers fascinating public education programmes. Activities visitor can enjoy, both at and with KZNSB, run as follows: boat trips, audio-visual and shark dissections, a museum, a curio shop and conference facilities. Be sure to visit them and learn more about these misunderstood ocean predators. Tear up some turf with the Gateway Leisure Centre and 4×4 Track. Hop inside a supplied off-road vehicle and tackle the chart track. Water traps, canons, rocky faces and river beds will delight drivers as they cover some pretty rugged terrain. Call ahead to book a fun, off-road experience. 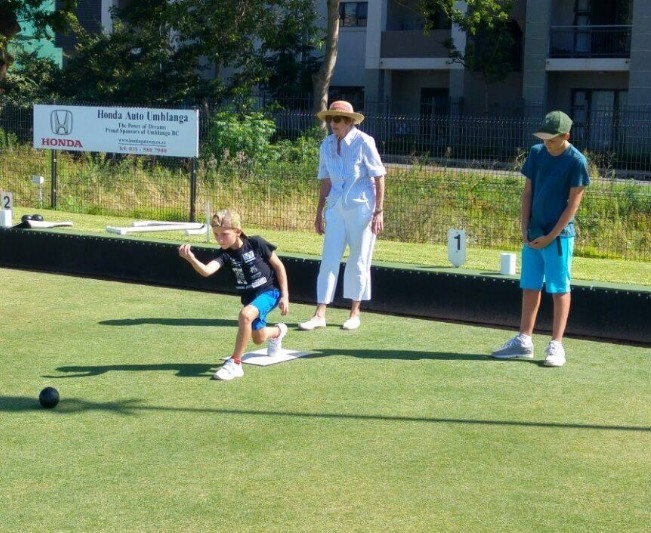 Have a bowl at this fun and free facility, which is also wheel-chair friendly and happily suitable for all ages. Registered coaches and officials are on-site to ensure that the rules are understood and that help is offered where needed. The bowling green is not only a great place to enjoy some bowls but it’s also available to hire for corporate and function days. If you need a little retail therapy, look no further than the relatively new and exciting, Pearls Mall, which opened in late 2016. This classy, high-end boutique mall not only offers excellent shopping, but it also includes a host of delightful coffee shops and eateries, like African Roots Coffee, Casa Bella and Doppio Zero to name just a few. Strut your stuff as you enjoy some fun shopping and eating out at the Pearls. The still newly-opened coffee shop, located within the glamorous Pearls Mall, is already taking the Umhlanga area by storm. The still newly-opened coffee shop, located within the glamorous Pearls Mall, is already taking the Umhlanga area by storm. Coffee lovers will rejoice upon discovering this speciality coffee shop, which serves only the finest African origin Arabica coffees. If you really love their java and would love some to enjoy at home, you can also shop for different blends on their site. You can also order artisanal light meals, such as breakfast (includes banting-friendly and health eats), Danish-style open sandwiches, veggie quiches and locally baked cakes, to complement the fine coffee and speciality teas on offer at African Roots Coffee. 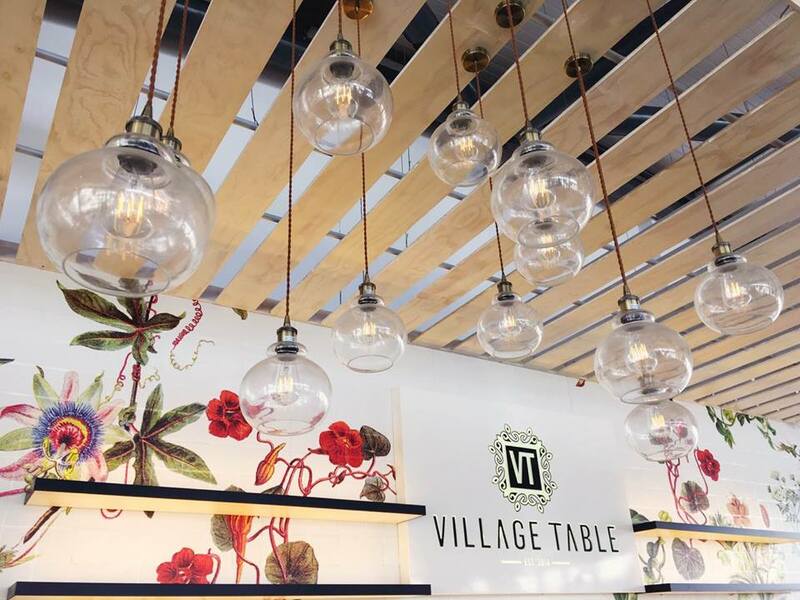 If you agree that eating is a great activity to partake in, then you are going to want to visit Village Table, where you can enjoy some delicious food in a very attractive setting. Bringing life experiences from pantry to plate, Village Table is all about aesthetically appealing food and restaurant atmosphere both. Let your little ones run amok @play, where children are always the priority. This safe indoor haven is suitable to children of all ages (from one-year-olds to tweens), and helps to broaden their creativity in fun, engaging ways as they learn and grow. Under the careful eye of @play staff, children can climb the enchanted jungle gym, whiz about on cars and bikes, swim in a large pond (under supervision), or play dress-up to their heart’s content. The play area also offers an abundance of great toys, like LEGO, books, puzzles and more to keep little minds (and hands) occupied at all times and away from screens and electronic devices. Parents can remain or go, knowing that, either way, the kids will have great fun on their own. This fun, affordable and clean spot is a great, family-friendly location where visitors can enjoy a water park with a supertube and other water-based activities (making it a safe place to learn to surf), as well as a pump track for bikes, scooters or skates for those who prefer to stay dry. It’s also offers a fun toddler area for the little ones – and generally makes for an enjoyable day out for all, whether young or old. Enjoy six days in paradise with SurfSup Yoga on this exclusive Umhlanga yoga retreat, which will include five-star accommodation, five days of activities and of course, some super sup-ping! Food and drinks, photos, daily transfers, lessons, equipment and so much more will be included on this awesome find-your-balance experience, as you learn to surf and stand-up paddleboard. For dates and bookings for 6 Days in Paradise 2017/2018, please contact SurfSup Yoga. 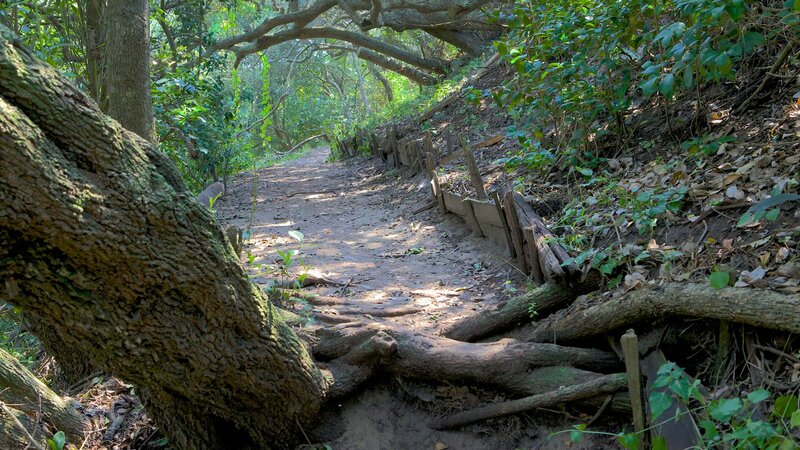 Immerse yourself in this beautiful forest, which offers a woodland enclosed by the Ohlanga River and the ocean. It is home to large number of birds and animals, and remains wonderfully unspoiled even to this day. The Hawaan Trails are not open to the public due to preserving conservation efforts but you can partake in a guided trail and learn more about this unique ecosystem, which is home to creatures of all kinds. This Steampunk-inspired smoothie and coffee station not only serves good java, but it also offers a health shop for natural and superfood ingredients, which inspired the name ‘Power Plant’. Stock up on some healthy goods while you pop by on a coffee run. Tuck into comfort food at this cheerful eatery, where fresh ingredients come together beautifully to supply guests with wholesome meals. Friendly staff and unrivaled hospitality will ensure you feel right at home too. Visit the KZN Science Centre and learn all about science, technology, engineering, Mathematics and more at this interesting, highly educational place. This non-profit organisation is big on giving back and educating people on all things science-related. It’s a particularly great experience for young, curious minds and is sure to inspire a love of science and technology in our South African youth and foreign students alike. Of course, one way to really take in some of the best sights Umhlanga has to offer is by simply enjoying a leisurely walk along the promenade. Or, if you prefer, go for a 4.6km-odd jog and ensure you stay fit and healthy, while absorbing the gorgeous scenery and surrounding views. These are just some of the fun and varied activities you can enjoy when visiting the Fun-Shine Coast! 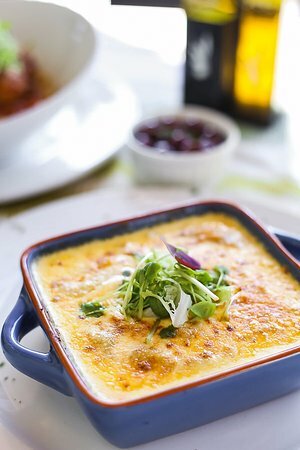 Previous Previous post: Top 10 Umhlanga Restaurants 2017. Next Next post: Top 20 Stellenbosch Restaurant 2017.